Only a MuseumCare™ ZeroCarbon™ wedding gown preservation is true protection for your bridal or family gown and for you. Look for our name, and look for our logo! 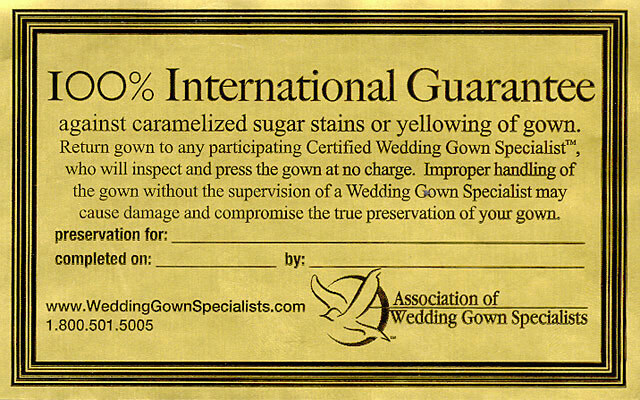 Our written international wedding gown preservation guarantee is backed by the Certified Wedding Gown Specialists™ of the Association of Wedding Gown Specialists represented in more than 500 cities around the world. 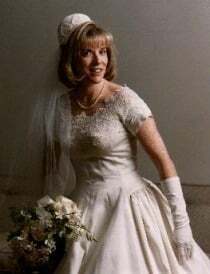 Return your bridal or family gown to any participating Certified Wedding Gown Specialist™ who will inspect and press your gown at no charge. Improper handling of the bridal or family gown without the supervision of a Certified Wedding Gown Specialist™ may cause damage and compromise the true preservation of your wedding gown.